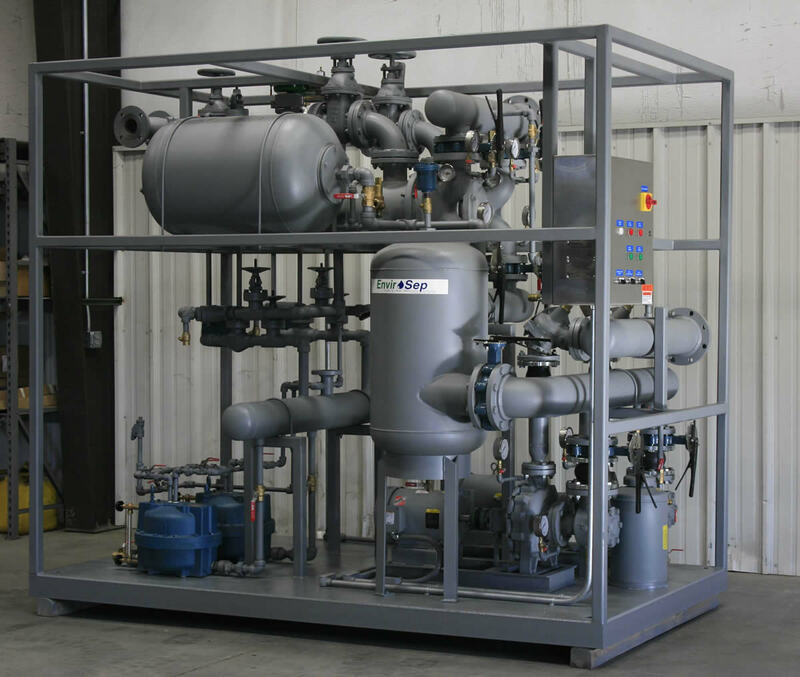 The envirosep HTS-NP heat transfer system with closed loop condensate return features the latest technology in steam-heating applications which allows the heat transfer system to operate under vacuum conditions on the steam side. The envirosep HTS-NP permits energy savings up to 15% versus conventional building hydronic heating systems. No vent is required in the condensate system, eliminating the unsightly exhaust flumes in conventional systems. 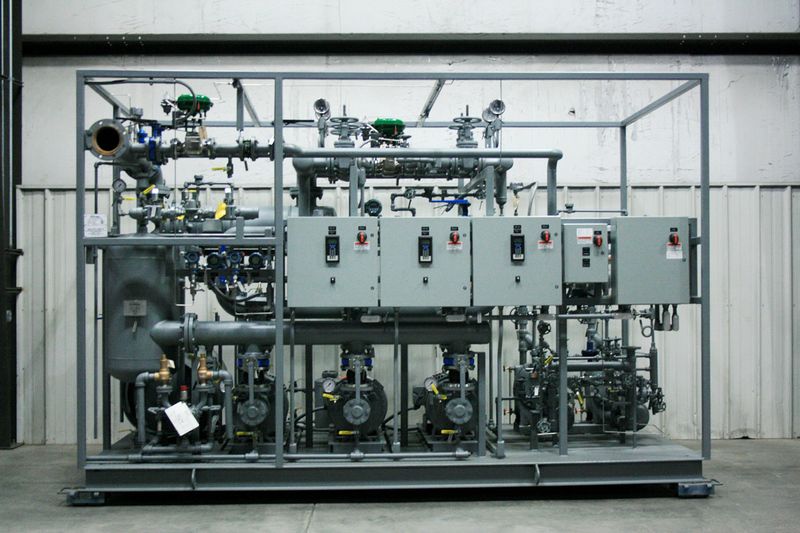 The envirosep HTS-NP incorporates condensate pumping, eliminating the need for additional condensate handling units. Each system is custom-engineered to meet specific site requirements. The most remarkable feature of the envirosep HTS-NP is the ability to provide a cost reduction while providing heating system hot water at a controlled flow rate. This fully integrated turn-key system speeds installation and start-up which provides significant, initial-investment savings to contractors, engineers, and building owners.